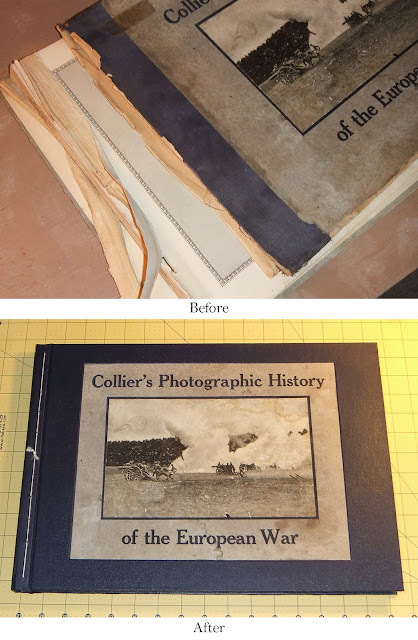 I was asked by the Frontenac Historical Society & Museum to rebind their copy of "Collier's Photographic History of the European War" printed in 1915. This WWI book was in very poor condition with the original stapled binding failing and every single page having tears that needed patching. In the end it came out surprisingly well.